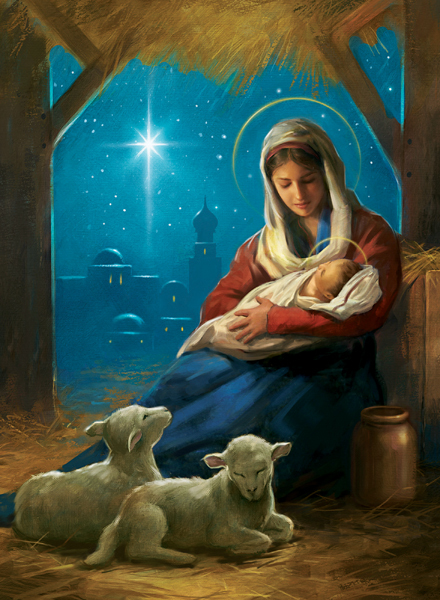 Mary cradles baby Jesus in her arms near the stable door as two little lambs look on. Madonna & Child (CN0176) is a traditional religious Christmas card which is suitable for personal, business, company and corporate customers. The crisp white insert allows you to personalise the inside with your seasonal greetings. Add a company logo and make the perfect company card.